Part of me believes Valentines Day was invented to inject a bit of oomph into February a month which lets be honest is January's shorter sister. So Valentines is here promising to be full of love happiness and romance. I had my little boy on Valentines Day so it will always be a day full of love and happiness. Too Faced is the most adorable makeup brand and just looking at the products makes me smile. Although these blushes are not a new release they are perfect for a little Valentines Love (what a lovely gift or self gift). There is nothing like the rush of love to bring a blush to our cheeks, some of us need a little help with that radiant glow and so we have Love Flush - Long Lasting blush* €30.00. There are six shades to this cheeky little blush with names like Justify my Love, I will Always Love you, Baby Love, Love Hangover (you guessed it all with song names). I have I will Always Love You which is a perfect peachy blush. The blushes promise to be fade proof, smudge proof and promise to last 16 hours. While I dont know why you would need your blush to last for 16 hours, I can say that the blush is in an adorable heart shaped compact (we expect nothing less from Too Faced) with even more adorable bunnies embossed onto the blush. There is a slight sparkle to the blush which transfers beautifully onto the skin. I love that you can take the compact out on the go and its so adorable its bound to be a conversation starter as well as a perfect apricot blush. What could be cuter than the Love Flush compacts? (pretty much nothing could be cuter - have you seen those bunnies, actual bunnies) Sweethearts blush* €29.00 is a baked blush in a cute heart shape each with 3 different colours which can be used alone or mixed. The Sweetheart Blush comes in four shades Something About Berry, Candy Glow, Peach Beach and Sparking Bellini. I have the shade Sparkling Bellini* which adds a stunning natural glow to the cheeks. I am fast becoming a huge Too Faced fan (they won my Brand of the year 2016) not only are their products completely adorable (bunnies actual bunnies in a heart) the products are fantastic quality. I love how the brand has outrageously cute packaging but the products themselves are so flattering on the skin. Every woman would love something in a box with the words "Jimmy Choo" emblazoned across the top. Unfortunately most of us the shoes are but a dream but the brand offer us all something more attainable and just as delicious. Jimmy Choo just get fragrance, they manage to capture a fragrance which is wearable and has great mass market appeal. Even if we forget about the brand name on the bottle the fragrances are really wearable and instantly recognisable. Jimmy Choo Illicit Flower* is one of the latest launches from the brand and while I wasnt a fan of the original Illicit I am loving the ladylike chic of Illicit Flower. The bottle is art deco inspired and for me it manages to be both simple and decadent. You couple picture this on the makeup table of Zelda Fitzgerald or on a modern Instagramable Ikea desk. The Rose has been a very trendy ingredient in fragrances, while it has never gone out of fashion it has made a definite resurgence. The fragrance opens fresh and fruity giving a youthful vibe but as it develops the rose emerges and you get much more feminine and ladylike feel, as the fragrance develops further you smell the musk and without it overpowering or loosing the rose. Jimmy Choo have taken a traditional ingredient and created a fragrance which is both classic and modern. Illicit Flower is one of those perfumes that when I smell it on a jumper or scarf it makes me inhale deeply, the more I wear it, the more I love it. The more the fragrance develops the more I love it. I love Illicit Flower from the decedent but simple bottle to the ladylike but modern fragrance. Illicit flower is out now and costs 40ML- €43, 60ml - €65 and 100ml €95. OK so Im a little (a lot) late to post my favourite products of 2016 but I thought you might be a little interested to know what was floating my boat in 2016 as a lot of these are my current favourites. Some of these products I have been meaning to write about for ages but time got away from me. As a beauty lover it was kind of shocking that it had been about 6 years since my last facial. I had always been a fan of Dermalogica facials and was delighted to get to try the Ion Active Power Treatment* which is a personalised treatment which targets issues such as dehydration, hyper pigmentation, ageing and acne. Basically it felt like the bad bits of my skin were gone and I was left with glowing, radiant and younger looking skin. Needless to say I will be going back for another treatment at Nuessence in February. (I also finally got to try Dermalogica Precleanse and I LOVE IT). Shiseido has been a bit of a revelation to me in 2016, its an amazing brand steeped in history and tradition but on the cutting edge when it comes to skincare. Shiseido has ranges to suite all age types so its probably best to visit your counter and get some advice which range is best suited to your age and skin type. Shiseido is a luxury brand but a word of warning once you start using the products you will love them. A good place to introduce you to Shiseido is with the Beauty Sleeping Mask which at €45 isn't as intimidating a price point. Beauty Sleeping Mask is perfect to use after a night out, a night of no sleep or on generally tired and dehydrated skin. Beauty Sleeping Mask is perfect to lazy busy people because you just apply and go to sleep (no washing off or removing). You wake up to plumper, hydrated and radiant skin. I know this is most definitely the wrong way to use the product but if I'm having a bad week I use it every night as a night cream. Ok I know I just mentioned Shiseido Beauty Sleeping Mask thats for hydration. My favourite mask to make my skin feel squeeky clean and instantly better has been Turmeric & Cranberry Seed Energizing Radiance Masque. The mask helps troubled skin and perfects normal skin, there is a slight exfoliating effect to the mask and if I have had a few days where my skin feels blurgh this brightens it up instantly. Shiseido Synchro Skin is my jam. If your looking for a natural looking foundation with enough kick to cover blemishes and discoloration, has a SFP of 20 (but magically doesn't cause flashback in photography) all while making you look radiant and with natural looking skin I cant recommend Synchro Skin enough. I always recommend getting a sample of a premium foundation (we all have too many orange/red/patchy/weird foundations in our past) and the moment I tried my sample pot (from the lovely girls at Arnotts) I knew I would be back to buy the full size. I love it, no I REALLY LOVE IT. I never thought that I would be including a setting spray in favourites but Clarins Fix Make-up* is that good. It has a fine spray which sets the makeup without moving ore removing any makeup. Its one of those trustee products you don't appreciate until you run out. I have not tried a Clarins mascara in years and while their skin care and lip products are phenomenal their eye products can be a bit of a disappointment to me. Clarins Mascara Supra Volume* is fecking deadly, I have small eyes with about 4 lashes and this mascara makes my lashes look longer and fuller. Normally for a mascara to do that im left with clunky clotted lashes but Supra Volume makes me look naturally like Bambi (maybe a chubbier, exhausted looking Bambi). The mascara also contains a serum which helps improve the condition of your lashes as you use it. So there is tough competition in this category and if the Anastasia Modern Renaissance Palette had not spent most of the year sold out it would have featured beside Urban Decay Naked Ultimate Basics*. As much as I love Urban Decay their rapid fire release of palettes can overwhelm the most dedicated makeup addict. I think the Naked Ultimate Basics (a matte palette bar one "shimmery matte" shade) is a lovely warm toned addition to every makeup bag. The matte shades are easy to work with and flattering on all ages, while the colour selection works really well especially on light coloured eyes. Most of the time I forget about eyebrows. I am not a fan of the whole HD brows, not only is it too much time and effort I also have an inherent fear of looking like Groucho Marx. So why my friends do I have a brow product in my favourites? 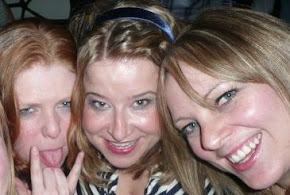 Blame Karen from Lovely Girlie Bits who I trust implicitly. She said it was brilliant, there was a new NYX counter in Boots Liffey Valley (its massive and I was overwhelmed so this was the only product which stuck in my mind). The NYX Micro Brow Pencil is a errrrr small brow pencil which lets you fill in the hairs and brush through on the other end. Quick, simple and easy to use (and not a Marx brother in sight). When I heard Urban Decay were releasing 100 shades of lipstick (in 6 different finishes) that made me very happy bunny indeed. I have picked up a few different shades of Vice Lipstick and my favourite is definitely Frenemy which is the brightest pink shade. For €18.50 your getting a premium lipstick in just about any shade you could imagine. I really love the texture and feel of the lipsticks as well as the amazing pigmentation. I really love the creme and comfort matte finishes and I will definitely be picking up more Vice lipsticks. (I picked up Big Bang which was my very first Urban Decay product and unfortunately the metalised finish requires a little more work to keep on the lips). If you know me you will know that I LOVE Clarins Instant Light Lip Comfort Oil* I love it so much I have one in my bag at all times and one where I do my makeup. I spent most of the summer wearing this over a lip liner. It leaves the lips feeling amazing and looking fantastic. I cant be without one. I didn't have a single gray hair before I had the baby FACT, I also could sleep 12 -13 hours no problem. While babies and children interrupt your sleep (by jumping and sleeping on your head) I find that even when the baby is sleeping like a baby sleeping like a man unable to hear a baby my mind can race and I am unable to switch off and unwind. This Works Deep Sleep Pillow Spray* simply put works. The process of spraying starts my mind to thing "right lads get ready for a good nights sleep". The delicate fragrance is relaxing but not overpowering. I am not sure what other magical ingredients are in it but I am on my second bottle. I use it on the baby (not like chloroform I promise) and unless its a horrible teething night it works on him too. Another product I cant be without. Aren't we living in a wonderful time where there are tons of wonderful places to buy makeup (we can even order from Sephora - a place so wonderful 2 of the men I work with took a picture of themselves outside of it in Vegas to taunt me). For me the winner of the best place to buy makeup is Debemhams. Debehnams beauty hall can look quite traditional with some of the older classic brands like Clarins and Chanel, but as you move further they have Benefit and Urban Decay. Delve a little deeper into the beauty hall (and online) and you hit the beauty jackpot. Debenhams have Too Faced, Laura Geller, Bagsy, The Balm and least we forget Kat Von D (currently online only but if rumours are true we will be getting a counter soon). Debenhams are stocking niche brands that have been traditional to find and putting them straight on the high street (or straight to your door if you order online). As a bonus Debenhams have a loyalty card so your earning money off your next purchases as you spend. Good work Debenhams. TOO FACED not only win the most adorable makeup brand they also win brand of the year. I have always known about Too Faced but mostly only bought the products when I was in America. In 2016 I discovered that Debenhams stocked Too Faced and a love began to blossom. Its not just that the products are adorable (they are), its not cause they love a theme (they love a theme, chocolate, New York and dam they do it well) the products are good DAM GOOD. L.O.V. 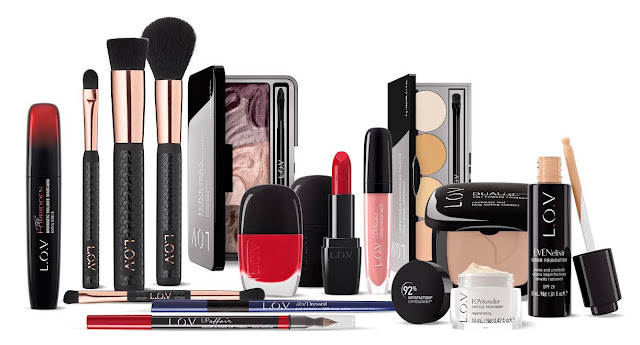 is the fancier big sister of the brands Essence and Catrice. As beauty junkies we all love Essence and Catrice, there are products in each range that are so good and so affordable its mind blowing (Essence cant be beaten with their nail polishes and Catrice have the affordable highlighter game sewn up) and while its always nice to try new makeup brands its reassuring to know that they are coming from a good family. While L.O.V. range is a little more expensive you can see the quality in the products and packaging. The lipstick is the nicest bullet I have seen from an affordable brand (sleek packaging and a magnetic lid). L.O.V. should be popping up in pharmacies nationwide and is definitely worth taking a look at. Ok I have been keeping this to myself because I love it. Van Cleef & Arpels Moonlight Patchouli is an expensive perfume, it smells expensive, it looks expensive (it even has a fancy dongle with Van Cleef & Arpels). Van Cleef is a brand more suited to somebody in Gossip Girl than to me but I adore this fragrance. I love Patchouli but its an ingredient that can sometimes react badly with my skin and just smell wrong (especially in gourmand fragrances). I adore them on others but they just don't suit my body chemistry. Moonlight Patchouli is a very easy to wear fragrance, like a Patchouli fragrance for idiots - fancy posh idiots. It manages to be rich and earthy while also being light. I love a simple product that doesn't require time, effort or skill (three things I have little or none of). 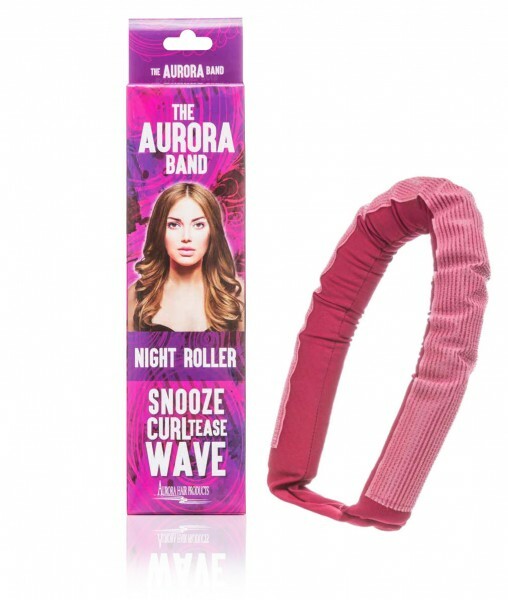 The Aurora Band is like the magic beans of hair products, you think this is going to be a swizz but it really works (on my hair) and for €13.99 its amazing value. You put the band in your hair and go to sleep (with damp or lightly damp hair), remove in the morning (sometimes that's easier than others) and voila your left with wavy Blake Lively hair. Sometimes it works better than others (depending on how I put it on the night before) but I love the effect it gives. What I love most is its easy to use and you can actually sleep comfortably in it (unlike the laughably named "Sleep in Rollers"). Nearly every time I use it (which is becoming a bit of an addiction at this stage) people ask me did I get my hair done, the reality is I have slept in it and haven't even brushed it that day. MAGIC... Lazy lazy magic. The effects of the Aurora Band - I haven't even brushed my hair so you would think I could blend my concealer. I probably will not manage a monthly favourite post Ill try a quarterly or half year favourites. What were you loving in 2016? Have you tried any of these products? I would love to know your thoughts.